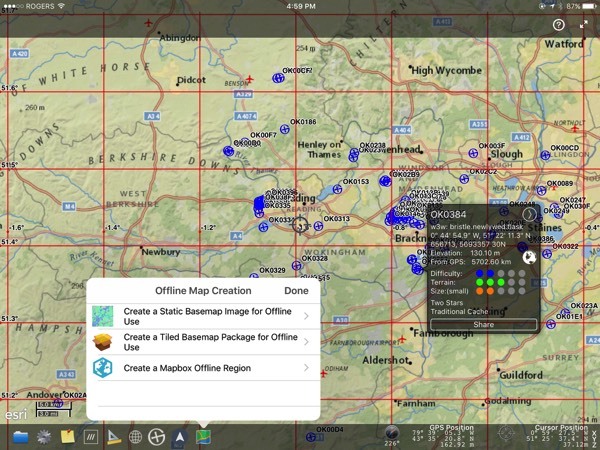 Geocaching software for the great outdoors! 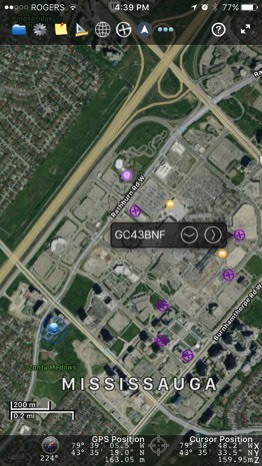 GeoView Cache is an outdoor adventure application for iPhone and iPad. Exploring geocaches with friends and family is a great outdoor activity suitable for every age. 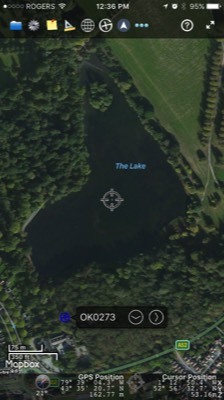 Make it even more fun using GeoView Cache! Requirements: Compatible with iPad, iPad mini & iPhone running IOS 9 or later. 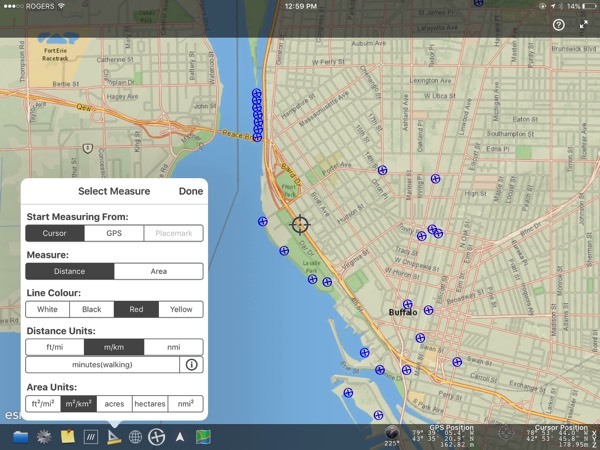 An active Internet connection is required to use Internet base maps, real-time elevation data, geocaching databases. 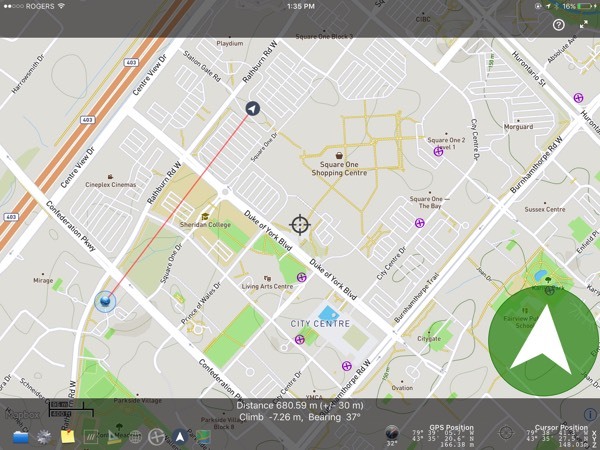 An iPad with "Wifi + Cellular" is required for GPS functionality. 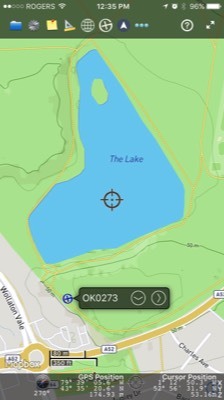 what3words is a global grid of 57 trillion 3mx3m squares. Each square has a 3 word address that can be communicated quickly, easily and with no ambiguity. Your private logs are shared with any IOS device that is using the same Apple ID. You can log caches when you are out exploring and share your discoveries later with friends and family using social media. 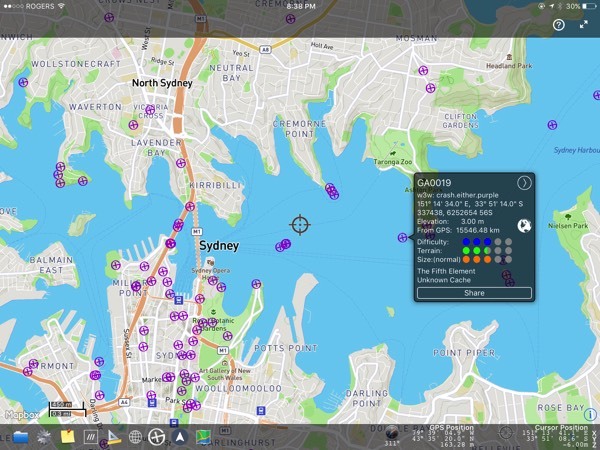 Logged information is not automatically shared with any geocaching websites or other GeoView Cache users. It is 100% private to you until you decide to share it. 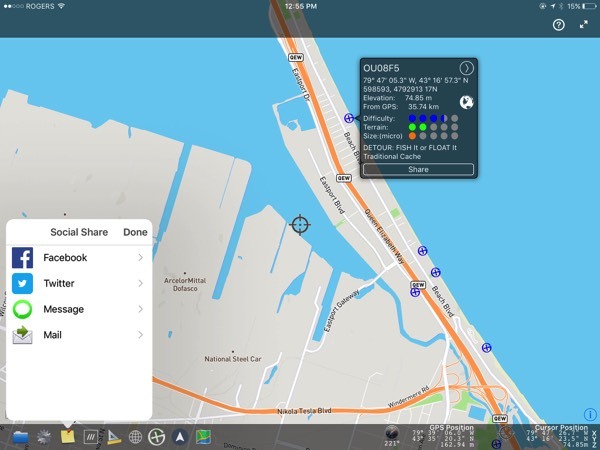 We take great care in designing GeoView Cache and it is tested on various sizes and configurations of both the iPhone and iPad in both portrait and landscape modes. We want to ensure that you can comfortably work back and forth between your various IOS devices. That way you can explore using the device that best suits your needs. 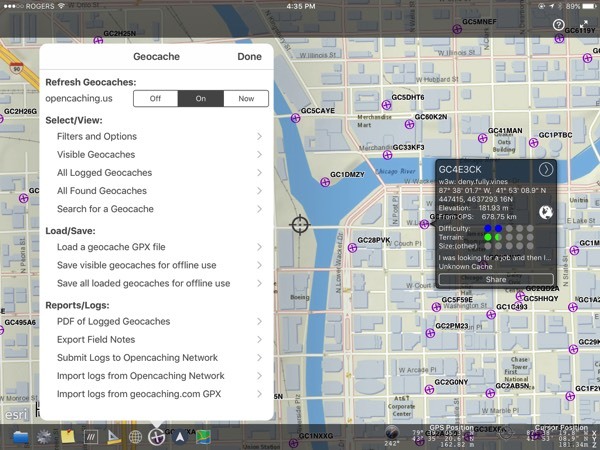 Some geocaching websites provide a public API for apps (such as GeoView Cache) to download their geocache locations and log their finds. 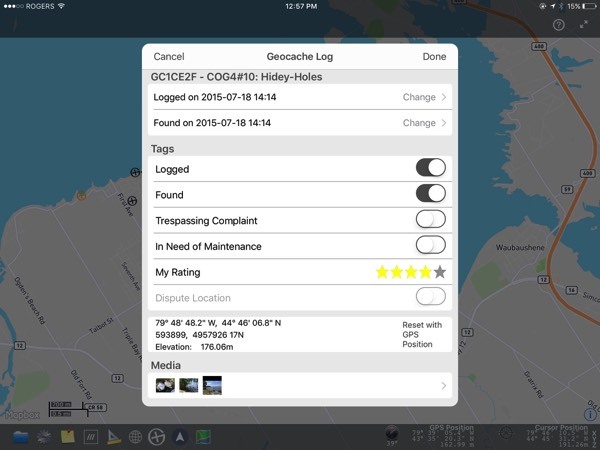 Whenever possible, GeoView Cache utilizes those APIs. 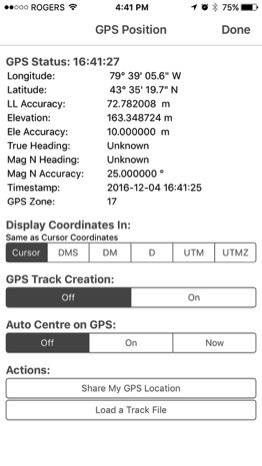 Filter the visible geocaches by distance and search the visible caches by friendly name or geocache code. API queries from the Opencaching Network may be filtered by difficulty, terrain, rating and size. 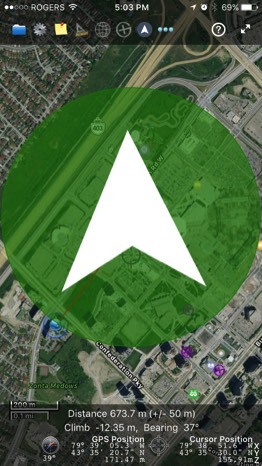 Easily view the source geocache website without leaving GeoView Cache. 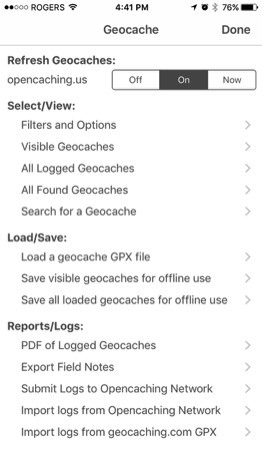 For most sites where an API is not available, you may download a GPX file containing most of the same information and import the same file into GeoView Cache. 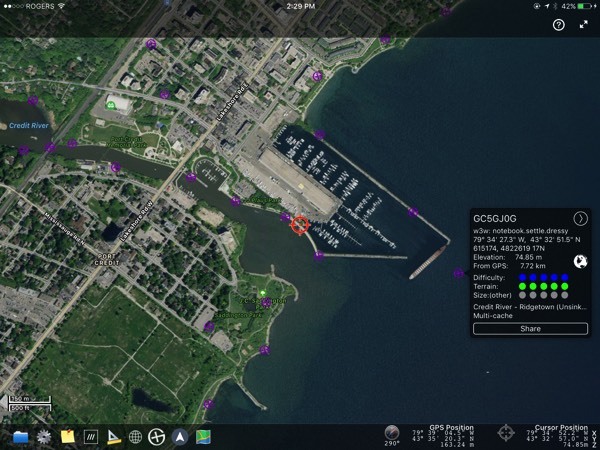 Logged or Found caches may be exported to text or CSV files for posting on popular geocaching websites or importing into PC or Mac applications. The exported data may be filtered by time-frame and geocache code.